Don't see a video here and would like to recommend one? 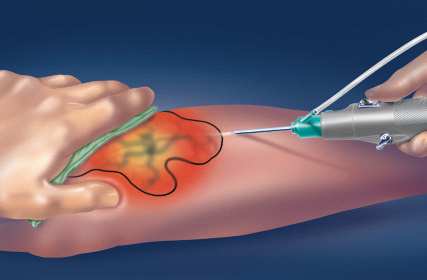 Click here to recommend a venous condition or treatment video to our editors. Healthy veins return blood to the heart and lungs so it can be re-oxygenated. A system of valves makes this happen by allowing the blood to flow in only one direction. When valves fail or leak, blood flows backward under the force of gravity and distends the veins. This backward flow, called reflux, causes blood to pool in the veins, resulting in varicose veins. Sitting motionless for long periods may put some summer travelers at an increased risk for deep vein thrombosis (DVT), a blood clot in a vein deep within the muscles, usually in the calf or thigh. Travelers can reduce their risk of getting DVT, by taking some simple precautions on long trips.